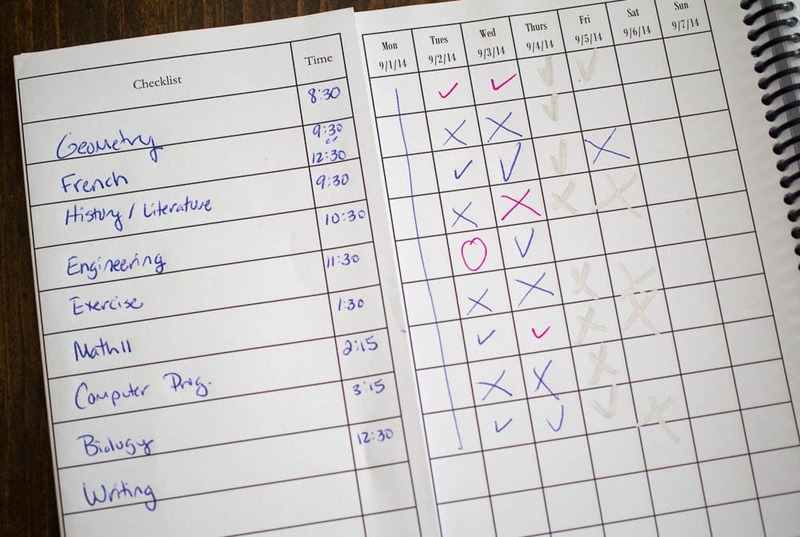 My Student Logbook is a company owned by a homeschooling family that is trying to help homeschoolers organize and record their days.Â I have been homeschooling for 15 yearsÂ now, and one thing I have found is always true is that theÂ more organized I am the more smoothly our homeschooling day runs. 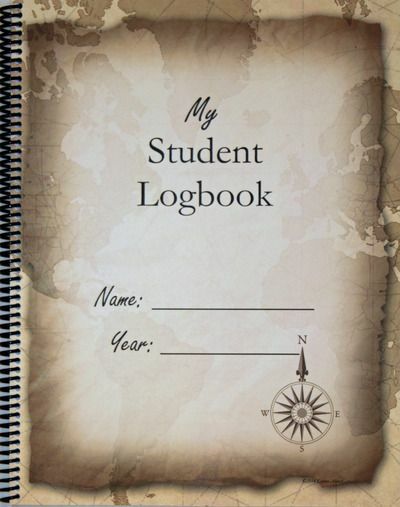 So I was glad to have the chance to review a Daily My Student Logbook. I received the dated Vintage Map Logbook to use with my 10th grade son.Â The company has lots of styles and covers to choose from, so you can have your student pick out a favorite.Â The available covers include dinosaurs, butterflies and many other kid friendly designs.Â In addition to the dated style that I received you can also order a downloadable pdf or an undated log book.Â The planner book I received retails for $15, and is designed to be used by children in grades 2 and up. When the book came I was please to see how nice the quality is.Â It has a heavy plastic front and back cover, which will help protect it from my messy kids.Â It also has a nice spiral coil binding, so it lays flat when opened. The planner is designed so that you can set up a checklist of work to be completed, and then re-use it every week.Â This is done by writing the tasks on a page that folds over the weekly pages.Â This is a clever idea, and it really saves a lot of rewriting the same subjects or chores each week!Â There are plenty of fold over pages, so if the schedule changes after a few weeks you can easily make a new one.Â Here is one of our pages from earlier this month. We wrote in all my son’s school subjects, and then he marks them off when done so he can see at a glance what work is left to do. The planner is easy to set up, and it also includes a section in the front on how to use the Logbook to create a high school transcript.Â High School transcripts areÂ something that seems intimidating at first, so this is great information to have included in the book.Â I thought this was comprehensive, and did a good job of describing how to figure out how much credit to give and how to keep track of hours.Â I have done a few high school transcripts already, and I wish I had something like this laying out so specifically few years ago! I like the planner, but it wasn’t ideal for my son.Â The boxes in the planner are small and just for checking off whether a task was done or not.Â That works for subjects where the student just needs to do the next lesson, but I frequently need to write out more detailed instructions for some subjects, and there just isn’t room in the box.Â We solved this by using the blank page opposite the checklist for more detailed instructions.Â I’d love to see a similar design with large blocks for writing in, so everything could be on one page.Â I think the smaller boxes would work better for a family with younger children, or for a family that modifies school subjects less than I do.Â I have a hard time using anything according to the instructions, so I do lots of tweaking! Read more reviews from other members of the Schoolhouse Review Crew here. This sounds like a great way to stay organized! It is a neat idea. I can see how larger blocks would help so much more. We are only doing 3rd grade so we don’t need a planner just yet, but in the future I will keep them in mind. What a great tool to help young students get organized. I like the idea of helping them to become aware of, and responsible for their deadlines. It’s great when everything is so organised and planned out… The challenge I think for all, is to follow thru! 🙂 All the best!! Cheering you on! My son recently asked to be homeschooled so I’m going to be checking this out! Sounds like a great way to teach children organization skills. Even the children who go to public schools.